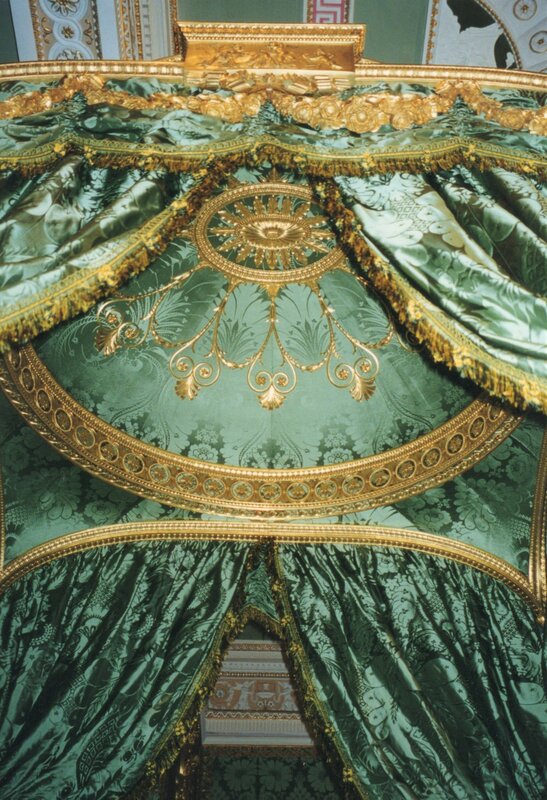 Thomas Chippendale's extensive work at Harewood House uniquely included a State Bed. Despite initial expense of the important commission in 1773, the state bedroom was altered two generations later by Sir Charles Barry. The bed was put into storage until it was brought again to public notice in 1976. 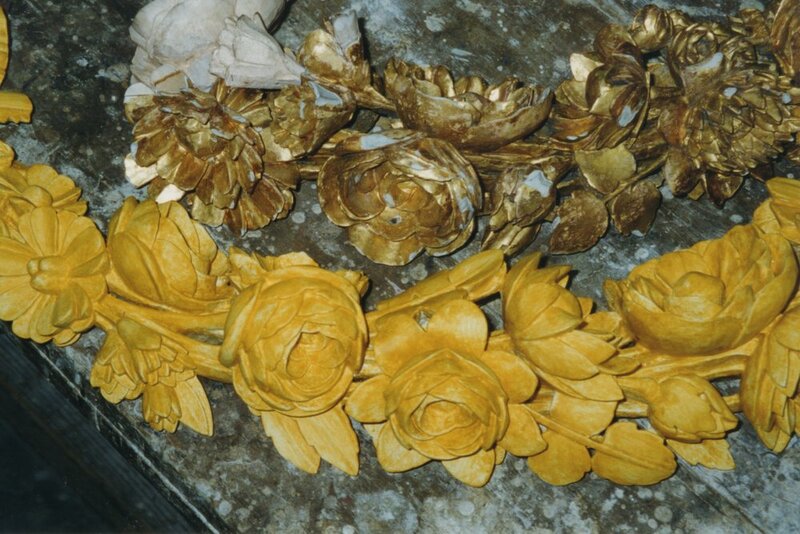 Chippendale's surviving account describes "the Whole Gilt and Burnished Gold, exceedingly highly finished". 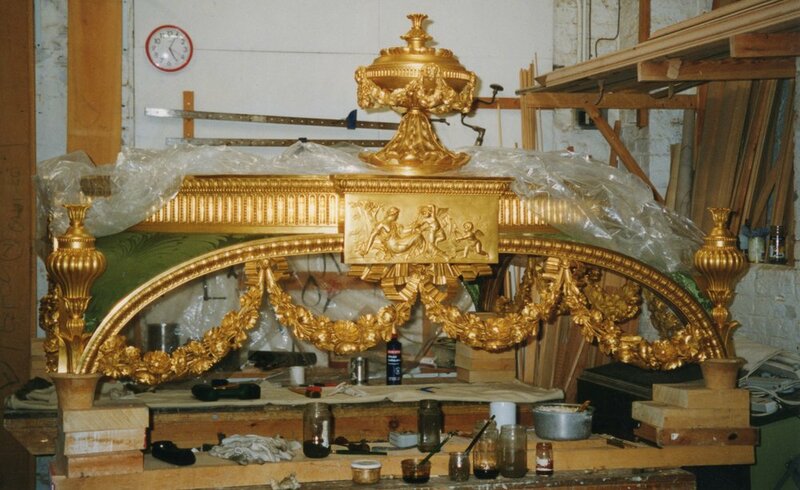 However, when Carvers & Gilders first saw the bed in 1986, the only remaining evidence of the original water gilt surface was on the “large Antique Vauze on the top”. 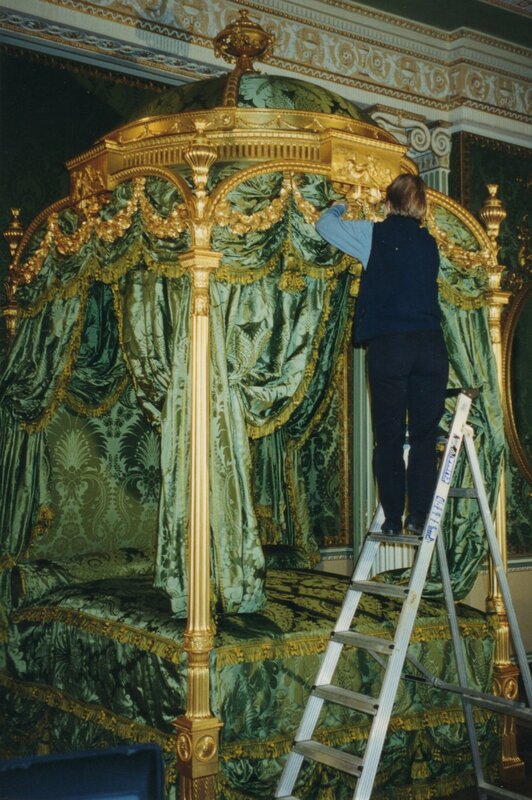 It was crucial to carefully examine, test and analyse the surviving material in order to reinstate the gilt surface on all other elements of the bed. Research and analysis formed the basis for each decision about reconstruction. 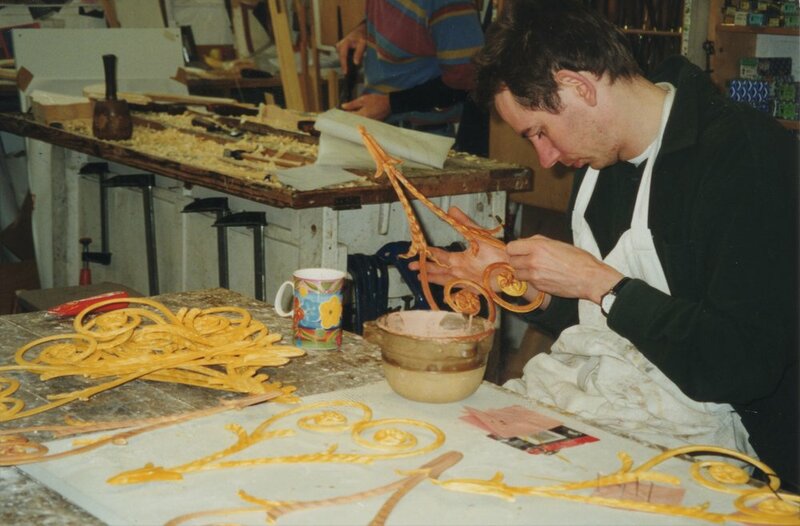 Analysis of the vase finial revealed the nature, character and quality of the original gesso ground, clays and gold. The 18th Century technique paid special attention to contrasting burnish and matte areas in a specific scheme. The burnished areas were toned with dragon's blood so that they were the same colour as the sized matte areas. 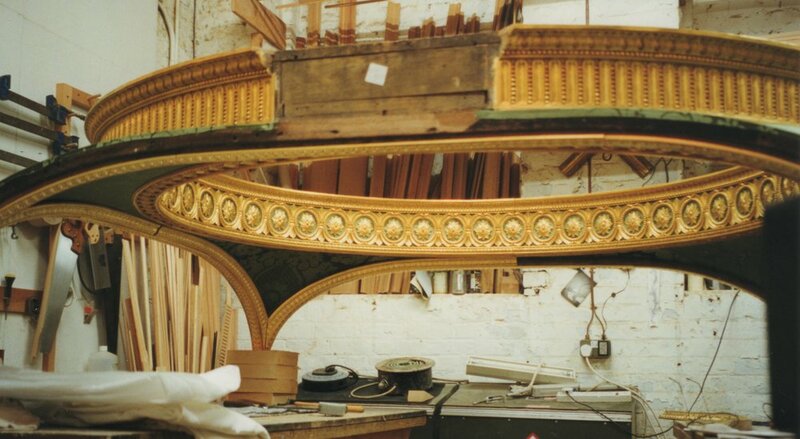 Such detailed treatment of gilded surfaces shows the importance of gilding as an integral part of Chippendale’s designs. The finial was conserved and is a fine example of Chippendale’s gilding intentions. Due to previous storage conditions, the surface was water-damaged and had a deep deposit of dust. 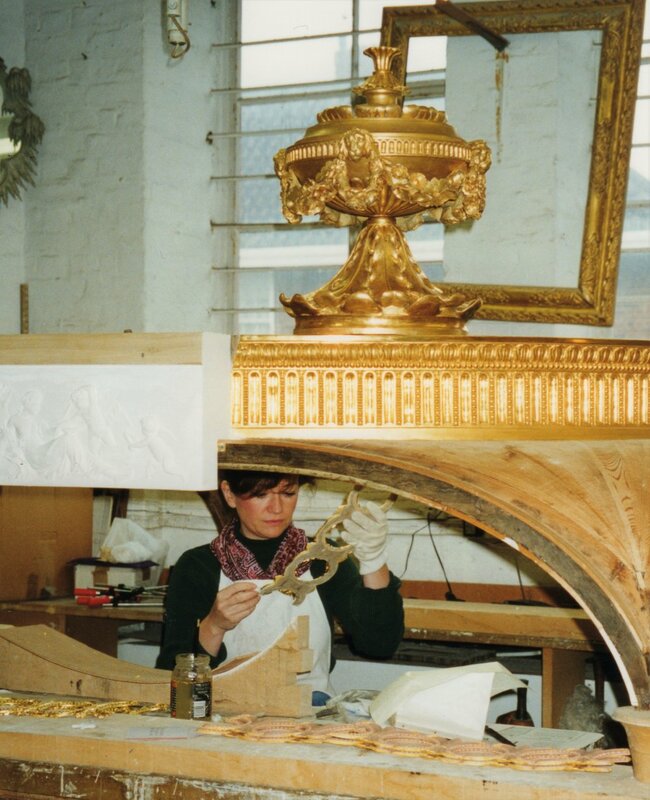 It was possible to remove the dirt layers and consolidate the gilding thus retaining a large majority of the gilding with its burnished and toned scheme intact. 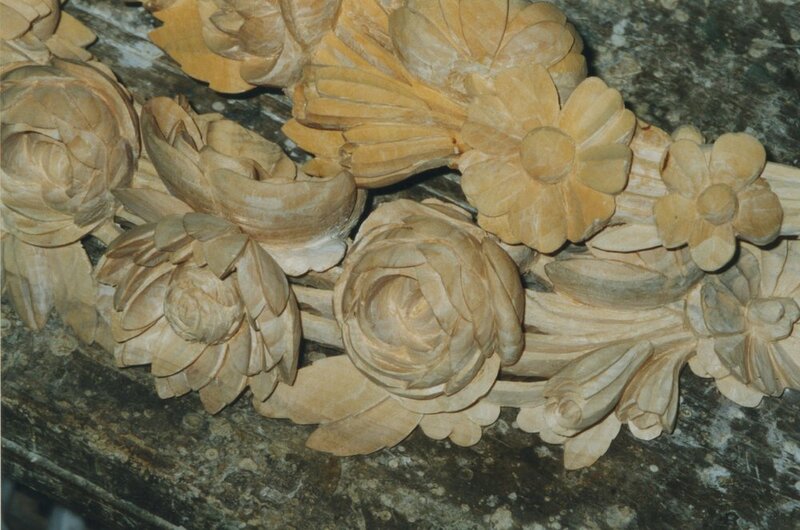 The survival of the finial was fortuitous as it provided the necessary information for us to successfully restore the bed to its original appearance.